07 October and Thursday, 11 October the travel days. The trip centralises on a visit to the Austrian Land Forces College, including the Artillery Institute, in Zwölfaxing, on Tuesday, 09 October. As in the successful Foreign Field Trips in 2015 to Madrid and Segovia, in 2016 to Granada and Malaga, and in 2017 to Lisbon, Commandant Michael Flood (Retd) is the Tour Coordinator. The Programme is attached as Annex A. Participants are free to organise their own activities in Vienna, such as the Schönbrunn Palace, Hofburg Palace, St Stephan’s Cathedral, Belvedere Palace, Vienna State Opera, and the Naschmarkt. 07 October in NH Wien Belvedere. As of 29 September, 29 individuals, including 11 spouses, are travelling. Participants are advised to check their passports, to have appropriate travel insurance, and to have in their possession a current European Health Insurance card. Participants are also encouraged to bring appropriate dress, including Club Tie, for the visit to the Embassy and the Artillery Institute. The Dress Code for these two events both events will be jacket and tie. Whereas participants are fee to select their own hotel, the majority selected the recommended hotel: NH Wien Belvedere, Rennweg 12A, A-1030 Vienna. Phone: 00 43 1 20611. As previously advised, participants are responsible to make their required bookings direct availing of the assigned micro-site. All costs will accrue to participants as they occur: Flights, Hotel, Internal Travel, Tours, Entrance Fees and Meals. Participants are encouraged to provide observations on the Foreign Field Trip which will inform the Committee’s After Action Review. 1400hrs: Check in Recommended Hotel: NH Wien Belvedere. 1900hrs: Coordination Brief in Hotel Lobby. 2000hrs: Depart Hotel for Dinner: O’Connor’s Gasto Pub, walking distance form hotel. 0900hrs: HGM-Kliege, Austrian Military Museum, including Lunch. The Museum is the leading museum of the Austrian Armed Forces. Public transport to Ghegastresse, A-1030. 1300hrs: Visit to the Permanent Mission of Ireland to the OSCE to include light refreshments. Public transport, 5th Floor, Rotenturmstrasse 16 – 18, A-1010. 1330hrs: Introduction by H.E. Ambassador Kevin Dowling, followed by briefings from Colonel Michael Kiernan OSCE Military Representative, and Lieutenant-Colonel Harry O’Connor Staff Officer High Level Planning Group. 1500hrs: Depart Embassy, Free Time. 0730hrs: Depart Hotel for Zwölfaxing by private coach. 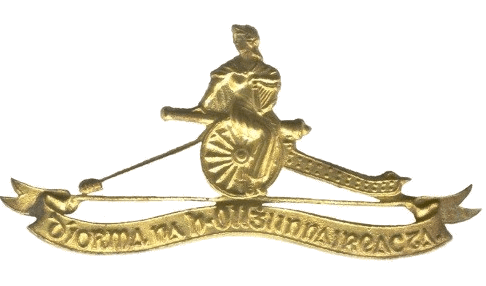 0900hrs: Austrian Land Forces College, Artillery Institute. 1300hrs: Depart for Hotel, Free Time. 0900hrs: Depart Hotel, Public Transport for Spanish Riding School. 1000hrs – 1200hrs: Morning Exercise. 1230hrs: Optional Lunch in Spanish Riding School. 1945: Hail and Farewell Dinner: Huth Restaurant, Schellinggasse, A-1010 (Taxi).